In this tutorial we will use the 3D capabilities of Photoshop CS5 Extended to create a chocolate volcano and text effect. Let's get started! Create a new Photoshop document, the size is 1200x1200 px and resolution 96 px/inch. Fill background layer with the radial gradient. Then add small noise effect, Filter > Noise > Add Noise. Insert the texture we will use to create 3D mash from grayscale. You may create your own texture with several simple steps. 1). Create a square Photoshop document, fill the whole area with radial black and white gradient. 2). Create a new layer, fill with the white color and apply Different Clouds Filter (set default colors -black and white, command D), choose Soft Light Blending mode for this layer. 3). Create a dark circle in the central part of composition and draw craquelures by using small round brush. 4). Merge all created layers, apply Gaussian Blur filter (2-3px). Then erase square corners, try to get the circle shape with the ragged edges. In order to extrude volcano 3D shape from the gayscale image, go to 3D > New Mesh from Grayscale > Plane. Move camera and set object position with reference to the ground plane. In order to get the position like in this tutorial, use following camera and object settings. The simple way to snap Volcano shape to the ground and keep all other future 3d shapes in plane is - "Snap Object to Ground Plane". You may see snapped object from the "Front" camera position on the second screen shot. In order to cover volcano shape with chocolate texture, download Chocolate material and install it using 3D settings palette. Choose "Materials" section in the 3D palette, click small arrow next to material thumbnail, then select "Load Materials and find downloaded .p3m file on your computer. You may create material by yourself using settings from the last screen shot, remove gray scale depth texture from the Opacity parameter. You may create your chocolate texture with several steps. Create a new square Photoshop document and fill background layer with the brown color #5a2e07 and apply following filters, start from number 1 - Noise effect. Next one - Filter > Artistic > Dry Brush and Filter > Texture > Craquelure. Download lights file and use it for the volcano 3D scene. 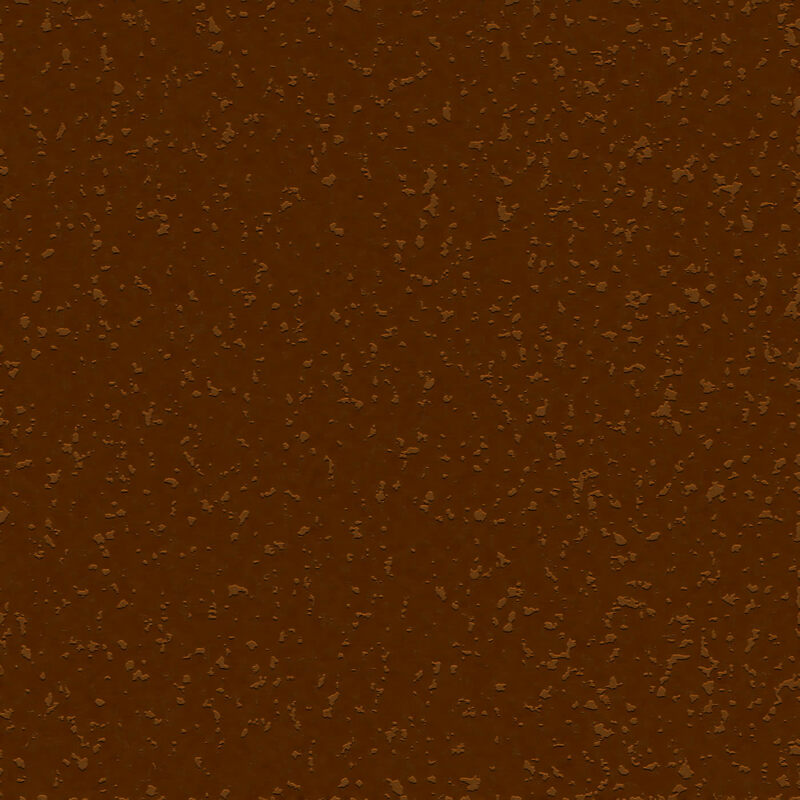 Choose "Replace Lights Presets" from 3D palette drop down menu and find "choco_volcano.p3l" on your computer. Duplicate created 3D volcano layer, we will use the duplicate to create small mountains in the background. You can make duplicated layer invisible for a while. Create a new layer below 3D volcano shape and fill it with gray color. 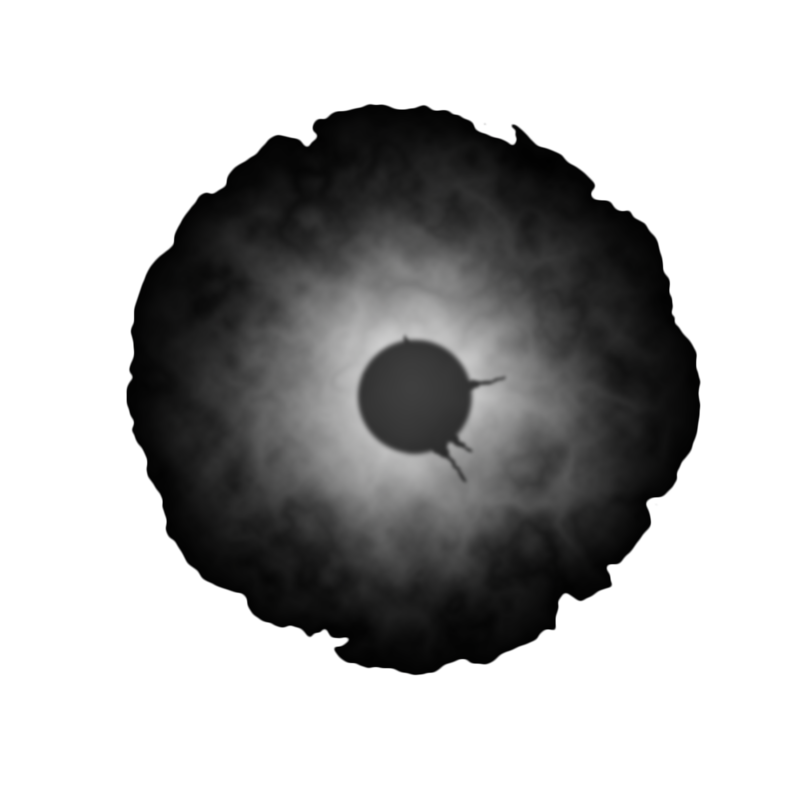 Do the same thing as for the volcano grayscale, go to 3D > New Mash From Grayscale > Plane. Keep active 3D gray plane layer and adjust camera position for this shape. Take Camera Moving Tool and apply absolutely the same seatings as for volcano layer in the previous steps. Just choose volcano camera settings from the View list and apply it for the gray plane. Set object position for the new 3D layer using the same way. First, choose volcano layer position from the drop down menu and change only the Scale parameters, make this object larger. Apply the same material and light preset as for volcano 3D layer. Add layer mask to the ground plane layer and fill the top part with the Linear black and white gradient. Choose Horizontal Type Tool, adjust the font and size. Position the pointer so that the baseline indicator of the type tool is on the path and click. After you click, an insertion point appears on the path. Type the text. Convert text layer to the shape, right click text layer and choose "Convert to Shape". Now you will be able to change text contour and add leaking/drops effect. Choose Direct Selection Tool and drag one of anchor point down. Add couple new points using Add Anchor Point tool and move them with Direct Selection tool to get similar result as on the screen shot. Use the same way to create other drops. You will have similar result. In order to create 3D effect for the text layer, Make layer path active, go to 3D > Repousse > Selected Path. Apply setting like on the second screen shot. In order to make holes inside the letters, select inside path with any constraint and choose "Hole" type. To return to the 3D Repousse window settings and make changes, just click icon in the bottom part of 3D palette or go to 3D > Repousse > Edit in Repousse. Apply the same chocolate material for this shape as for the volcano and ground plane. In order to prepare combine text layer and volcano, apply the same camera settings, then go to Layer > Merge Down. The text layer merged with the volcano 3D shape has the same lights preset and looks more similar. You may adjust text shape position after merging using Mesh moving Tools. Choose text mesh in the meshes section and apply position parameters just like on the screen shots below. You should get a similar result. Load selection for the combined 3D layer and fill selection with any color in a new layer or save this selection in the channels palette. We will use created silhouette to mask front objects before lens blurring in the final steps. Save the current settings of the camera and objects position, name them "volcano" for example. It should appear in the "View" list. After saving scene positions, choose Top view, it will help to insert correctly the new objects into the 3D scene. Return original "volcano" camera position. Insert milk image into a new layer. Select background with the Quick Selection Tool or Magic Wand. Correct missed milk drops using Subtract From Select Mode, check out the last screen shot. Then go to Select > Refine Edge. Apply settings like on the second screen shot. Click "Ok", then right click milk layer, choose Apply Layer Mask. Cut out the bottom part of the milk glass. Choose Spot Healing Brush and remove glass edges using Content-Aware Mode. You may change splash shape a bit using Warp Transformation. Go to Edit > Transform > Warp. Drag handles and move points like on the example below. Add Layer Mask to the milk layer once again and erase volcano crater contour with small black brash. Apply Auto Contrast to the milk splash, then duplicate splash layer and go to Variations. To better integrate milk image to the current chocolate warm scene, click to the marked tones variations, you will get warmer and darker tone. Play with Opacity Parameter. To make the top part of splash lighter, add Layer Mask and fill it with black and white gradient in the top area. Load selection for the whole document, go to Select > All. Then go to Edit > Copy Merged, paste merged layer content into a new layer. Press Quick Mask icon and fill the bottom part of the document area with the Reflected black and white gradient. Find volcano and text silhouette, use Command/Ctrl + click layer thumbnail to load selection, Command/Ctrl + Shift + click milk layer thumbnail to add this part to selection. Take a white Brush Tool and erase red shade from selected area, except the bottom part of volcano. Deselect selection and then release Quick Mask.